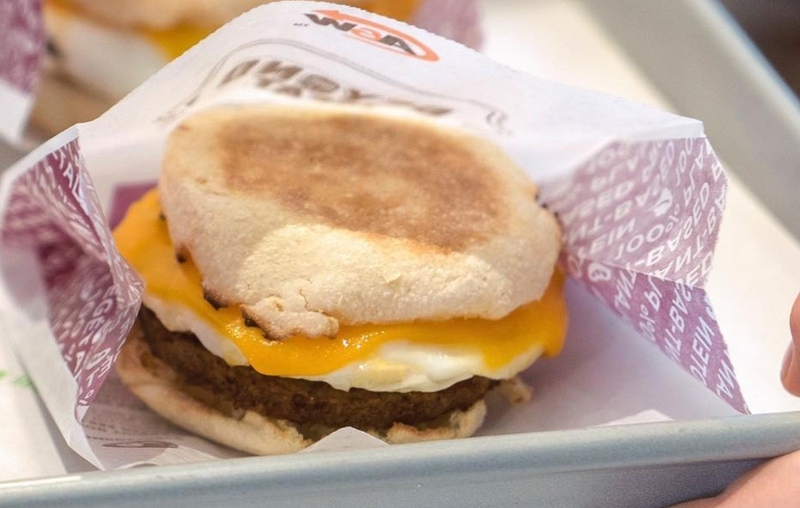 A new vegetarian sausage breakfast sandwich is now available at A&W branches across Canada – with a vegan option available. The Beyond Meat Sausage & Egger features the vegan Beyond Meat Sausage alongside cheddar and egg. According to Beyond Meat, vegans can sub the cheese and egg for lettuce and tomato for a fully plant-based option. The sandwich was revealed earlier this month, when Canadian television personality Jillian Harris announced the release of the plant-based product on her Instagram story. Now Beyond Meat has let customers know that the option is in stores. “We recognize Canadians are increasingly interested in including more plant-based proteins in their diets,” Susan Senecal, A&W Canada’s President and Chief Executive Officer, said in a statement. “Adding a plant-based protein option to our breakfast menu is the kind of innovation that we love. This isn’t the first collaboration between the Canadian fast-food chain and the vegan startup. Last year, A&W added Beyond Burger patty its stores across the country in a vegetarian build that could be tweaked to make it suitable for vegans. Speaking at the time, Senecal said: “We are a burger-loving company with a lot of firsts, but this is the fastest new-product launch in our history.